Kingsman: The Golden Circle is a fun popcorn movie. While, I prefer the first movie, Golden Circle kept the over the top action and eccentric villains going. 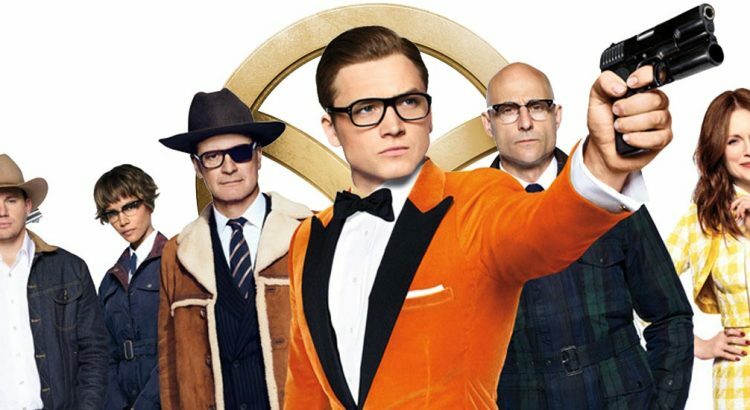 We get some callbacks to characters from the first movie, A very fun role and performance from Elton John, and a fun (if sterotypical) turn on the American version of Kingsmen. I think it is worth seeing in the theater. Golden Circle opens with a coordinated attack on Eggsy from a Kingsman washout and members of a drug cartel, the Golden Circle. This attack leads to the Kingsman database getting hacked and a missile strike on all Kingsman locations. Including Eggsy’s home. Unfortunately, Eggsy’s friend and pug were taken out in the blast. Lancelot and other agents die at each of their locations. The only Kingsmen left are Eggsy and Merlin. Merlin is alive solely because his address was not in the database since he was support and not a field agent. Eggsy made it out because he was having dinner with his girlfriend’s parents. His girlfriend, the Princess, from the first movie. Eggsy and Merlin open their Doomsday Scenario bunker and get led to Kentucky and the Statesmen. With agents code-named Whiskey, Tequila, Ginger Ale, etc. It is revealed early on that one woman has gotten a monopoly on the drug trade and heads the Golden Circle, Poppy. A woman with a 50’s nostalgia and serious mental issues. And robotic dogs. She had orchestrated the downfall of the Kingsmen and doesn’t seem to know about the existence of the Statesmen. Poppy has developed a virus that will kill people slowly over several days. First symptom is a blue rash. She laces her drug supply sold to everyone to get the virus into the population. Then she wants to blackmail world leaders into legalizing all recreational drugs and giving her a pardon. The Kingsmen and Statesmen race to find the cure before it is too late. We get some surprise revelations along the way, laser lassos, briefcase bazooka, and an awesome sequence from Elton John. I do think Poppy went down too easy. But, much like Valentine, she is not a fighter herself.